Philippines, 27 January 2018 – An unexpected new student changes the lives of her classmates in Back to School at 35. Strangers throw boring routine out the window in the reality show Grab the Chance. Finally, cute and extraordinary robots help their owners change their lifestyles for the better in Koshoku Robot. A new student arrives at Kunikida High School, but the gorgeous woman is not what she seems. Ayako Baba (Ryoko Yonekura) joins the third-year class as the students’ new classmates, which leaves them wondering about the intentions of this 35-year-old woman who is back in high school. While something is not quite right about her, Baba deals with issues like bullying and truancy. Just what is Baba’s true identity and motive? Will she survive high school and confront her secret past? Back to School at 35 premieres February 5, Mondays and Tuesdays at 9PM. Have you always wanted to take the leap from the world’s highest bungee jump in Macau? What about swimming with the dolphins in Hawaii? Maybe even skydiving? This once-in-a-lifetime opportunity could just be waiting for you on the corner of the street! Can you decide on the spot when presented the opportunity and grab the chance to change your life? Grab the Chance premieres February 12, Mondays at 10.10PM. At the 0 X Food Company chain store, a customer can exchange points for a 25-centimeter tall robot that will assist with their dietary needs. 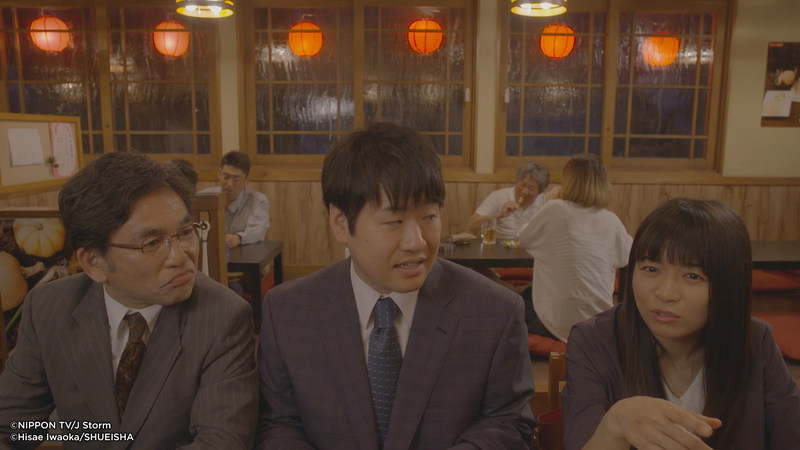 Follow the trio of these robots, Ottori (Hikaru Yaotome), Mujaki (Yuya Takaki), Yancha (Daiki Arioka), who have distinctively different owners as they are matched to suit and support their owners’ dietary and lifestyle needs. Watch their cute interactions as they make sure that their owners eat and no longer be lonely! Koshoku Robot premieres February 21, Wednesdays and Thursdays at 9PM.